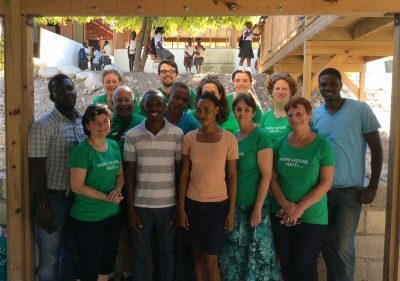 Following the devastation of hurricane Matthew in Haiti last year, we ran an emergency appeal and, thanks to your support, were able to send £500 to Hope House Haiti. They are working tirelessly to enable the community to get back on it’s feet, and we are please to announce that in January the UK medical Team had a very successful trip to Hope House. With our funds and Team funds they were able to employ 5 skilled translators to assist the medical team over 6 days in schools, enabling 650 children to be screened and medical records established to monitor their growth and identify other medical issues. The Medical Team also carried out clinics after church for the local community and saw around 40 families . This helped immensely with efficiency and diagnosing of medical needs. Each child was given worming tablets, which will help with their absorption of nutrients from their food and multi vitamins. Three children and one teacher were diagnosed with vision problems and are now wearing glasses. A few children were identified as suffering from malnutrition and are now being given eggs to eat in the morning when they arrive at school; other immediate medical issues were dealt with, antibiotics given, wounds dressed and topical creams applied.